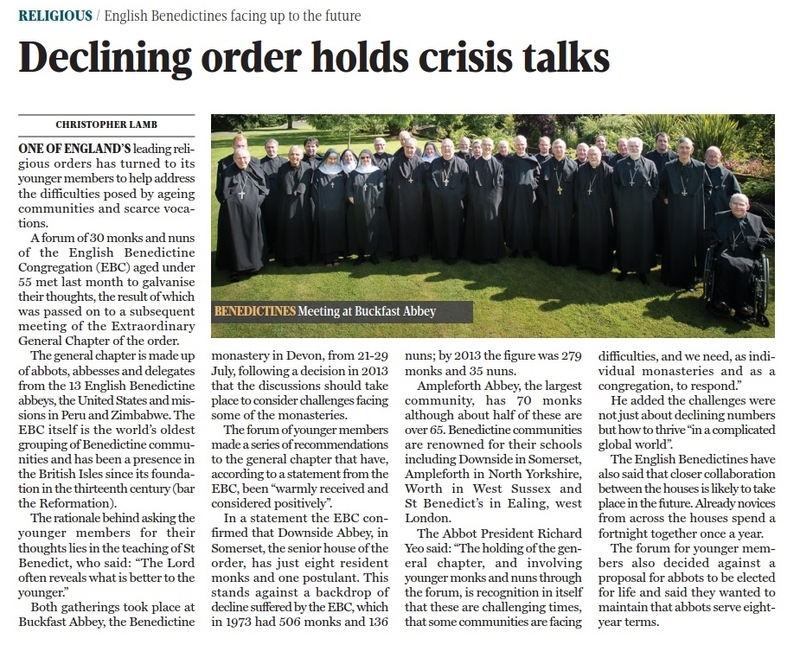 In the latest issue of the Tablet there is a brief article covering the recent Extraordinary General Chapter of the English Benedictine Congregation (EBC), which was held hard on the heels of the first ever EBC Forum, of over 30 EBC monks and nuns aged under 55 elected by all 13 communities. Representing Douai Abbey were myself and Fr Paul Gunter, who is Vice-President of the Pontifical Liturgical Institute in Rome. The article (see below – click the picture to make it larger) has an alarming headline but is largely fair in its content. By way of background, the Forum met at Buckfast Abbey from the evening of Monday 20 July and concluding the morning of Friday 24 July, just in time for two days of plenary sessions of the Forum with the EBC General Chapter. At these sessions each of the various papers composed over the previous days were, in turn, presented formally to the General Chapter, with questions and requests for clarification or expansion invited from members of the Chapter. After these plenary days, the members of the Forum left (except for the handful who were also delegates to General Chapter) and the Extraordinary General Chapter formally convened with the purpose of addressing the various papers presented by the Forum, not least their recommendations. In time we will hear what Chapter has decided, if anything. It would be inappropriate to discuss the content of these papers in any detail, though they may well end up forming the basis of discussion within each individual community should Chapter so decree. It can be said that the papers covered the topics of work, community, liturgy, vocations, formation, governance, and refoundation. We had only a few days to discuss these topics and then draft and approve papers. We were amazingly efficient, and our discussions were refreshingly open and fruitful. Most impressive, at least to one among the more senior end of the “young” who made up the Forum, were the truly young among us. These young were from the English houses, as well as our American houses and Peruvians who are members of the Belmont Community. It was they who articulated the crucial issues most acutely, and their insights were seasoned with the reflections of the older and generally more experienced members of the Forum. It is not an infringement of any secrecy (if any!) surrounding the Forum’s work to note some of the issues raised. What follows are some of the larger issues with a reflection or two from me at times. We noted the passing of some of our traditional apostolates, and the perceived necessity of finding a common work to unite communities. This was seen an unrealistic for most communities. Far better to focus first on the unifying common work we already have, the Work of God that is our liturgy. 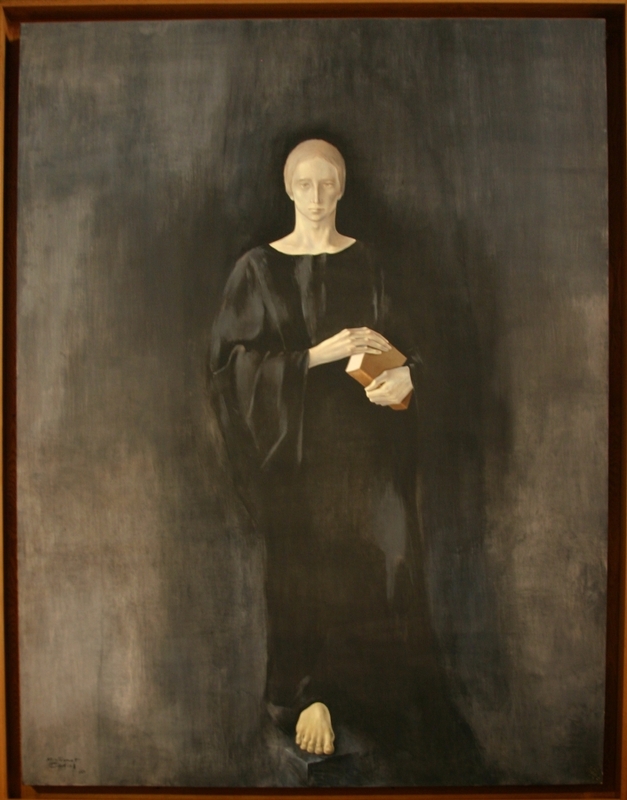 Other work, it was felt, must harmonize with this, be appropriate to smaller and ageing communities, and be consonant with the monastic atmosphere and mission of our houses. On liturgy the Forum was remarkably sensible and united. There were repeated calls for greater dignity to our worship despite our generally falling numbers, more care in its preparation and execution, the revision of its music where necessary, the role that can be played by non-singers and non-musicians through the graciousness and reverence of their gesture and deportment, and the need to de-stigmatize the Extraordinary Form. On the matter of community, we noted how significant, though largely un-remarked, was fear in our communities: fear of future prospects, of change, of community failure to survive, fear of newer brethren and their different mindset. Better communication within communities was urgently sought. The potential, and the dangers, of social media were discussed, though we all agreed that the internet was something we could not ignore. Bubbling beneath the surface of our discussions was an implicit desire that the brethren be friends to each other, in the sense that Christ used the word. Vocations made for a lively and rich discussion, and really an excellent one. The question was starkly posed: do our communities truly want vocations? Is it something they pay lip-service to without undertaking the necessary self-reflection, and even change, that growth in authentic vocations (ie, those who “truly seek God”) might require? Do we want more members rather than new members? (Just think about that one for a bit.) Do we want to grow and bear greater fruit or merely continue in existence? There was much discussion about the fact that young recruits now usually bring with them an implicit challenge to the status quo in many houses. We all agreed that their zeal and idealism must not be crushed but nurtured, matured and even encouraged. More often than not this is a challenge we need to face honestly, balancing the need to form a young monk for the community with our duty to nurture him and the call to renewal he might be bringing with him (consciously or not). And while we all noted that the young will be using the internet first to inform their process of vocational discernment, we recognized that nothing will replace direct contact and the community’s daily witness to a faithful and fruitful monastic life. On the matter of formation, we discussed the responsibility of the entire community, not just the abbot and certain officials, for the formation of new members. If they do not “fit in”, are “not quite one of us dear”, it was felt that we need to recognize that the problem may not always lie with them but with the community. The need for a greater attention to human formation was noted, as was the necessity of tailoring formation to the greater diversity among recruits in such areas as education and catechesis. The crucial need for ongoing formation was discussed, as was the formation for those not called to the priesthood. One thing was very clear: houses would soon have to be sharing resources in forming new members, at least at certain stages in their formation. The matters arising around governance were more shaped to the express issues General Chapter had flagged. What was agreed was the fact the abbots (and abbesses) are being pushed more and more into the role of CEO, to the detriment sometimes of their role as abba in the community. 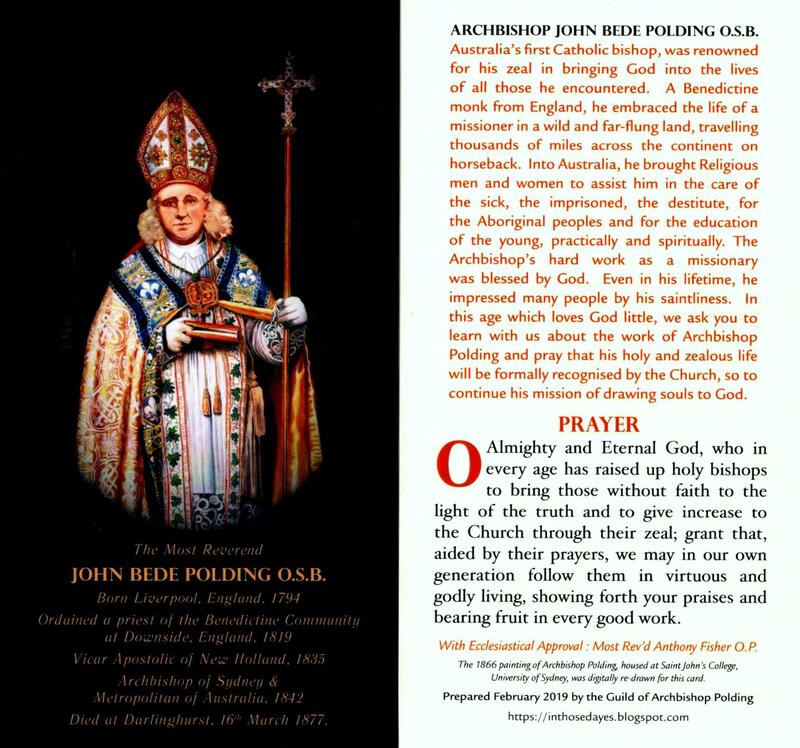 The probability that some fragile communities may soon not be able to find suitable candidates for senior positions, not least abbot, raised the question of what role the Congregation would play in supporting those houses, and how it would achieve this in practical terms. This complex and difficult question was dealt with more fully in the document on refoundation and renewal. This is very much a matter that needs to be left to the General Chapter to resolve. For now that conversation remains rightly private to them. St Benedict was young once, too, and full of good zeal. You may not think it, but the Forum was quite a diverse crew, with an age spread of over 30 years, and a significant variety in backgrounds and experience. The young spoke no less than the older among us, and they were worth listening to. Indeed we must listen to them. One thing was clear: many (though not all) of the changes adopted (often too hastily and too comprehensively) over the last 50 years in many communities have, at the very least, gone beyond their use-by date. The concerns of young monks in 1970 are not the concerns of those in 2015. They seek to recapture some of what often has been lost in our communities, elements that connect us to the Church of today, as it stands at the current end point of a vibrant stream of 2000 years and more of growth and fruitfulness. If we are to prosper and bear fruit ever more abundantly, if we are to increase, then individually our monks (and nuns) might need to decrease a little more. Lord, not my will, but Thine be done. Of course, prayers for the wisdom that will be needed to address the issues you mention Father, and for an abundance of vocations that is increasingly urgent not just for the assurance of fragile communities but for the turbulent times that we shall undoubtedly suffer. A really thoughtful and interesting post. As I have three EBC cousins, please be assured of my prayers. Thank you, Charles. 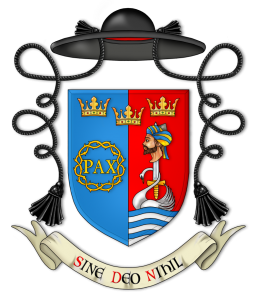 Your cousins must be the Ampleforth Wrights, though one has gone colonial! (St Louis is the vocations powerhouse in the EBC, it must be said.) Your family has been generous to the EBC, to put it mildly. As ever,you are too kind. It’s been a very busy couple of months here. I’m still catching up! I have to think about all of this, and then about a dozen times, and even then I’m not sure I’ll have coherent thoughts about it. Lovely to have met you! Thank you for your summary. The summary is indeed mine alone, and not official, though I venture to say it is not inaccurate. If it helped, then deo gratias. I was only there very briefly, but long enough to nab you and say hello! I intend to blog on this myself – though it’s not really anything to do with me – but want to think things through properly (for once) and get my words straight.